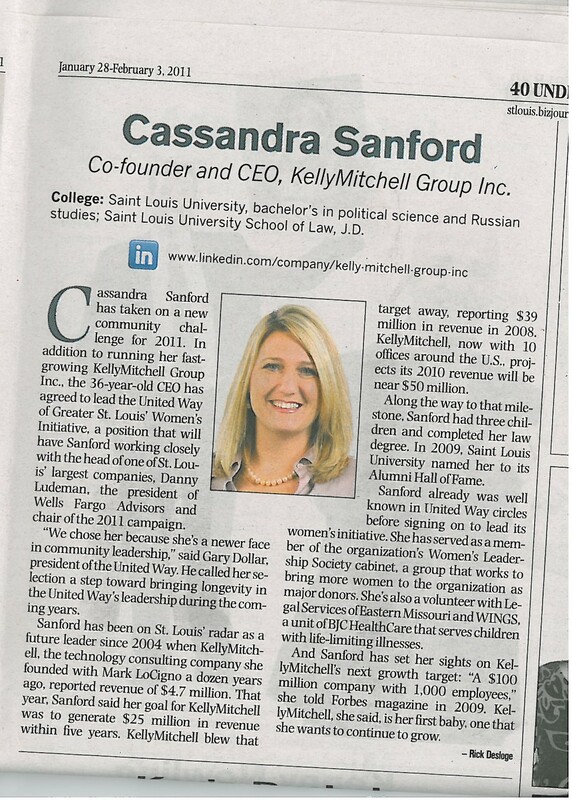 We have been loving the St. Louis Business Journal lately, and here’s just another reason why – last week, KellyMitchell CEO Cassandra Sanford was the recipient of their annual 40 Under 40 award. Check out the article that was featured in last weeks Biz Journal. Congratulations, Cassandra!